2017 is proving to be the ‘golden year” for MarTech. 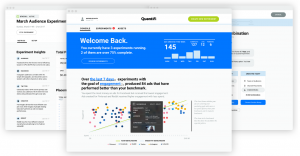 Pushing the ceiling for more research and development activities in marketing, a digital advertising experimentation platform — Quantifi, has made a momentous beginning with a significant funding round. Almost a decade ago, Google’s Chief Economist Hal Varian coined the phrase — “Marketing is the new finance.” As marketers converge their thoughts and actions to engage and delight customers with flawless experiences across all channels, Varian’s prediction about a dynamic digital marketing ecosystem is closer to become a reality. Be it the rise of automation in marketing or the unification of sales and advertising into marketing efforts, data science has provided a solid foundation for marketers to access consumer behavior across channels and media. Marketing Research and Development (R& D) is the force that drives these technologies towards delivering transformation through faster adoption and a quicker ROI. Quantifi is a marketing R&D platform that taps the power of artificial intelligence to drive smarter digital advertising. Today, the platform announced its public launch and over $2 million in seed funding in an oversubscribed round. The funding round included participation from High Alpha Capital, Router Ventures and a number of strategic angel investors and industry veterans. The High Alpha Studio Portfolio includes MarTech startups like Octiv, Lessonly, Visible, Sigstr, ClearScholar, Zylo, Doxly, and Structural. 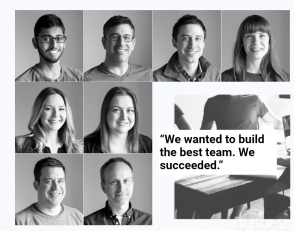 We’ll continue to build out our team, with a focus on AI/data science, engineering and marketing/sales. Quantifi’s mission is to help digital marketers experiment at scale, learning which target audience segments, creative options and channels work best for their brands. Quantifi’s Constellation Data Co-op, their growing proprietary data set, learns over time to continually test and recommend new channels, audiences, and creative options. Quantifi coaches marketers through creating a successful digital strategy by providing insights and recommending the most effective next steps. Led by R. J. Talyor, who co-founded Quantifi with High Alpha Studio, where he served as a founder in residence since the fall of 2016. Prior to High Alpha, Talyor (a swimmer since he was six!) spent more than 10 years at ExactTarget and Salesforce, most recently as the vice president of mobile products. After Salesforce, Talyor joined Geofeedia where he led product as vice president of product management. The Quantifi leadership team holds a combined 60 years of experience at leading marketing tech software platforms, advertising agencies and social media platforms. Quantifi will use its seed financing to build on its 10-person team and accelerate hiring across customer success, product, engineering and sales teams while continuing to build out their product. Over the past 6 months, Quantifi has built a distinguished list of early customers that have further contributed to Quantifi’s proprietary data platform, including, LIDS Sports Group, Butler University, The Indianapolis Motor Speedway, Syndicate Sales, Menguin, and DiscountFilters.com. 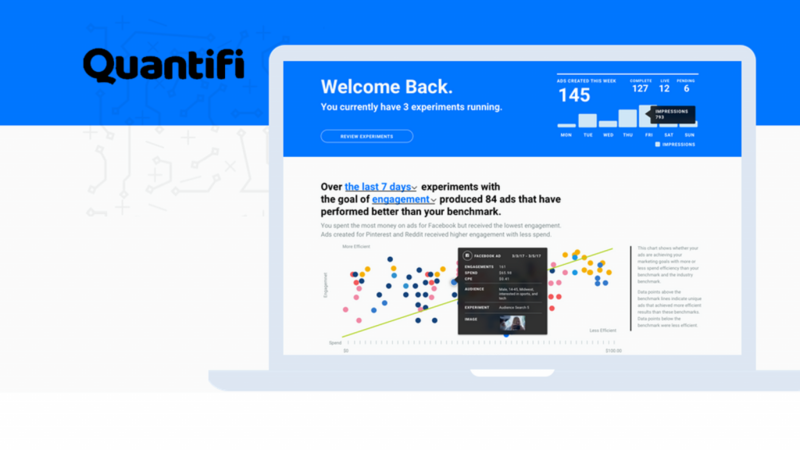 In addition to helping marketers to work smarter and achieve goals through digital experimentation, the R&D collaboration from Quantifi also offers to coach on how to discover valuable audiences for any brand. “Most marketers are doing very limited testing today, with most of it being driven by gut feel. Using Constellation, Quantifi’s proprietary data co-op, Quantifi’s machine learning algorithms are constantly coaching marketers on how to turn their marketing into a science,” said Eric Tobias, a partner at High Alpha who is a three-time entrepreneur and most recently led Data Science at the Salesforce Marketing Cloud. Integration with Marketing Automation Platforms on cards too! Through insights and recommended next steps, Quantifi coaches through experiments with the backing of data from thousands of experiences. Quantifi is also the owner and operator of digital marketing experiments publication, The New New Thing, where digital marketing leaders can find news, interviews, podcasts and op-eds with industry leaders on marketing R&D and experimentation. Through insights and recommended next steps, Quantifi coaches through experiments with the backing of data from thousands of experiences. In coming months, I expect Quantifi’s AI-powered marketing R&D platform for digital ads will unleash the power of artificial intelligence to discover the audiences, channels and creative needed to drive growth for brands. With experimentation at its core, Quantifi will ideally take the guesswork out of digital advertising and enable the discovery of a marketing formula at scale to learn exact audience targeting segments, creative options and channels working for a business. Read the whole interview with R. J. Taylor here.